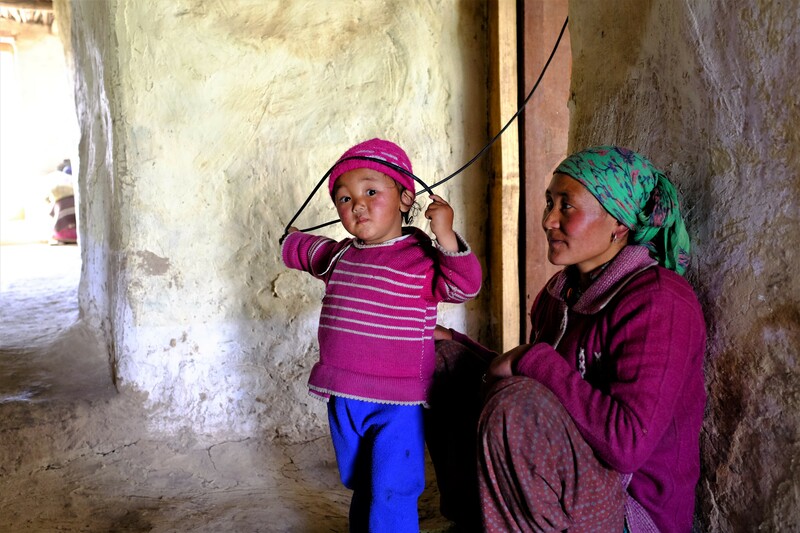 In 2016, Yangchan (29), and mother-of-one Angmo (32), left their remote villages of Sumda Chenmo and Tsogty in Ladakh for the very first time. Ahead of them was a journey into the unknown – to Tilonia in Rajasthan – to be trained as solar entrepreneurs. 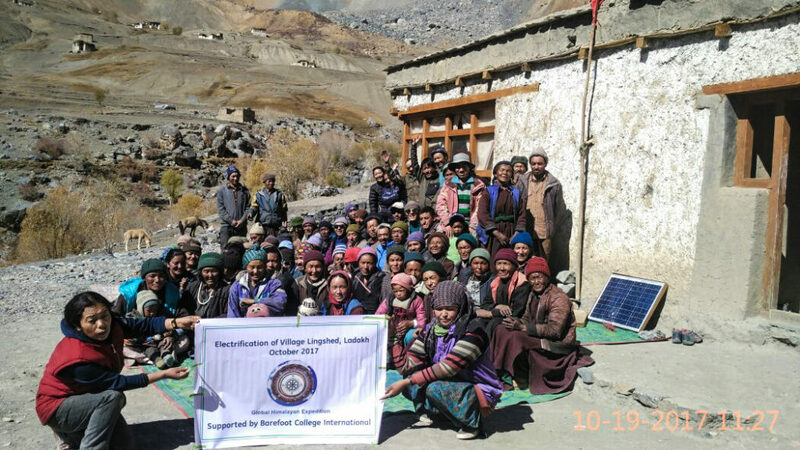 Yangchan and Angmo had been selected by Global Himalayan Expedition (GHE) to undertake six months of pioneering training at Barefoot College, which would equip them with all the skills needed to become Ladakh’s first women solar engineers. Now, these two brave women are back in their homes, putting these skills to work for the benefit of the villages they have lived in all their lives. The impact will reach far into the Ladakh and Zanskar regions, in the eastern half of the Indian state of Jammu and Kashmir. Separated by the Zanskar mountain range, Ladakh once connected India to the Silk Road – yet today it is one of the most sparsely populated regions in world. Its people live in extremely small, scattered villages, with the biggest cluster totalling around 700. They are self-sufficient, eking out a living from cattle rearing and farming the scarce land available. Where the road ends, the solar kits are loaded..
Transporting the equipement to utmost remote villages. 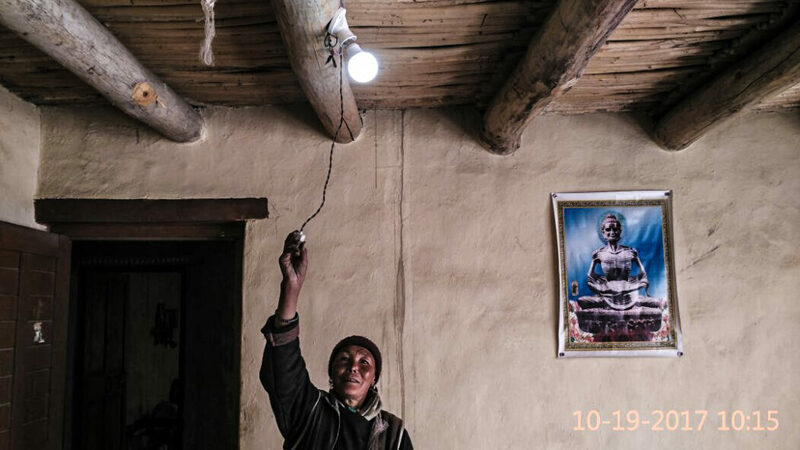 provides villages with light at night for the first time in their history. Bringing the solar equipment on horseback, the women trekked through the steep passes of the Himalayan tracks with one goal at the front of their minds: to electrify three of the hundreds of villages currently living without electricity, replacing hazardous, inefficient and expensive kerosene with a clean, cheap and endless source of energy: sunlight. 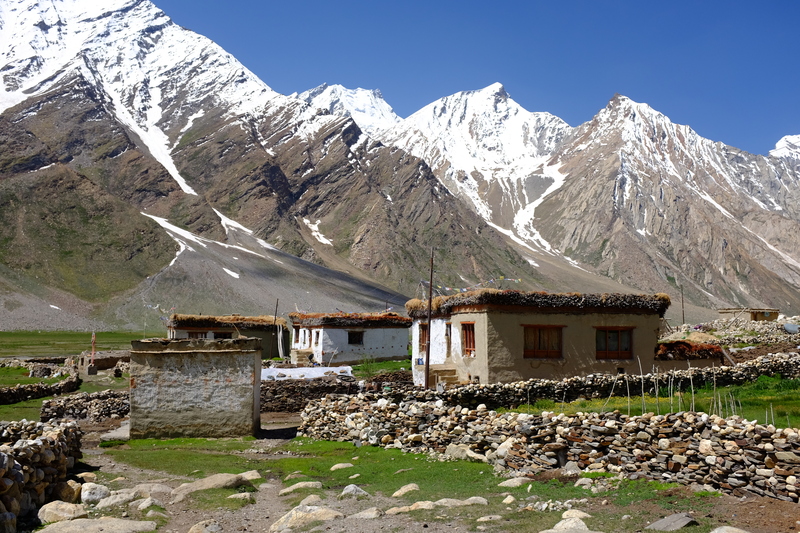 The three villages – Shakma Karpo, Sumda Chun and Skumpata – all sit high in the mountains at above 4,000 meters. For these three villages, and many others like them, access to cleaner, cheaper energy opens up new opportunities for eco-tourism, and income generating activities beyond farming and animal husbandry, whilst contributing to sustainable development. Additionally, the Buddhist monastery of Rangdum was electrified. Rangdum is a very renowned monastery in the Zanskar Area of Ladakh, cut off for almost 7 months in winters from either side due to heavy snowfall. The road leading to the monastery has an unenviable reputation for being dangerous due to unpredictable snowstorms and blizzards, and driving under such hazardous conditions is extremely challenging. 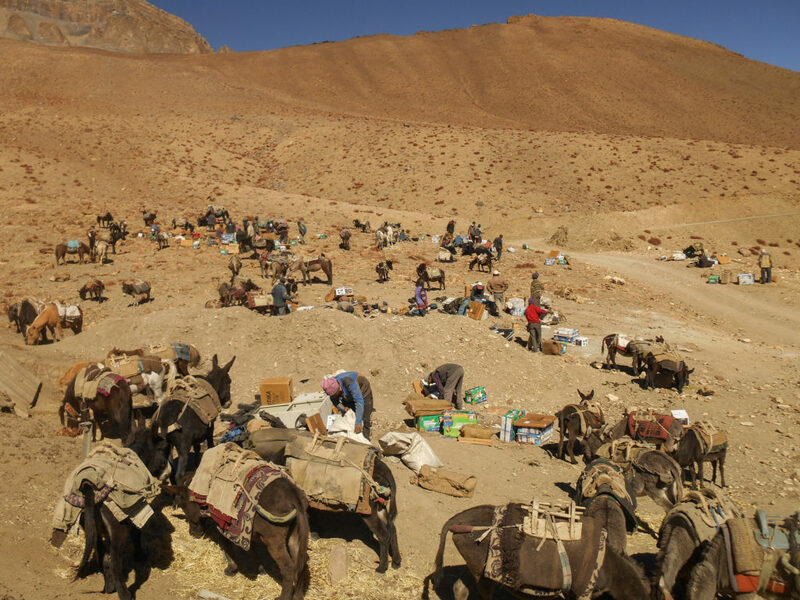 None of this deterred Angmo and Yangchan, who travelled 400 miles from Leh along unpaved roads to bring light to 30 monks and a pack of donkeys living in the monastery. 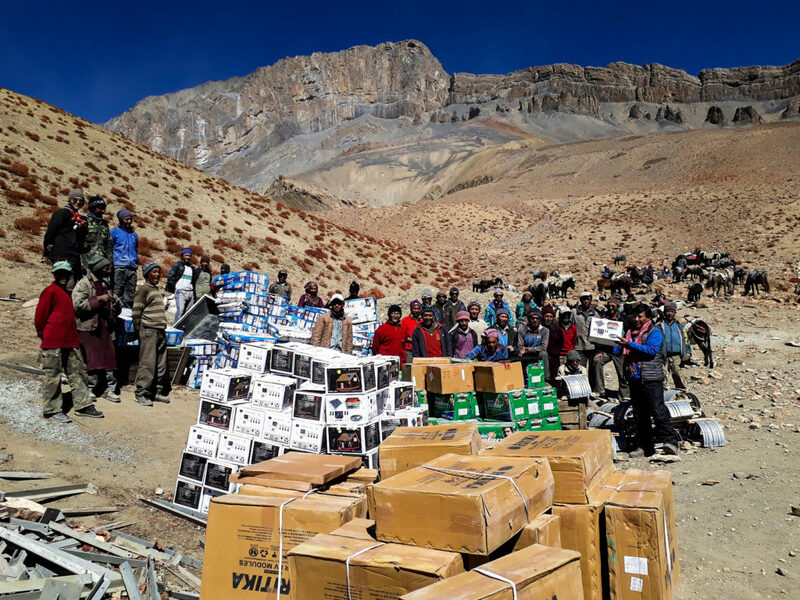 We are enormously grateful to Global Himalayan Expedition for being our ground partner, who helped us with the selection of these solar mamas. 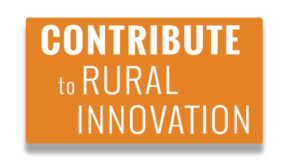 GHE focuses on providing access to clean energy and education in remote, off-grid communities across the Himalayan ranges of north India. 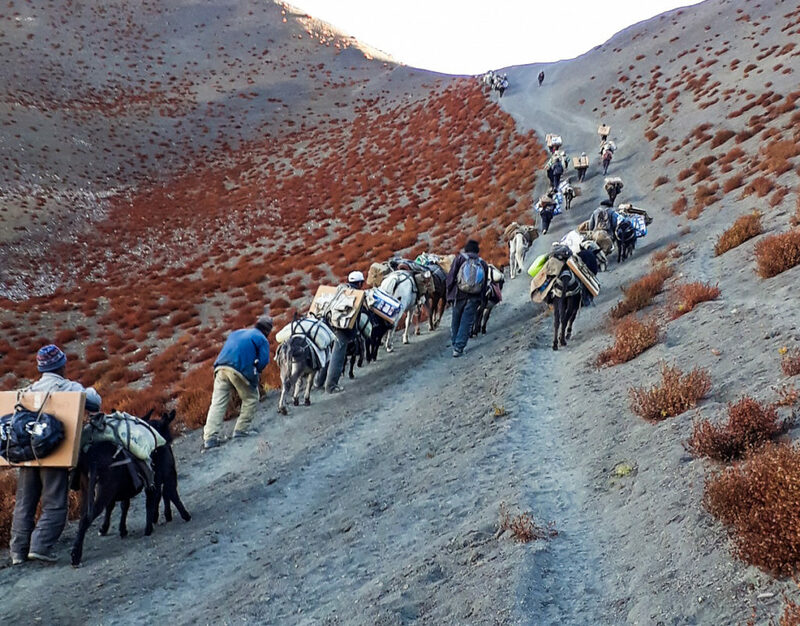 By leading expeditions – which include an international cast of volunteers – they help set up education bases and solar-powered microgrids as community enterprises, all located above 13,000 feet (approximately 4,000 meters above sea level). 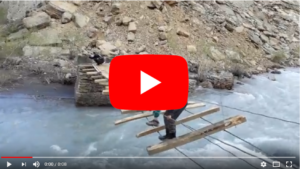 Such a great improvement for the villagers in Ladakh, and the respect Angmo and Yangchan gained, are fruits of the dedicated work of Barefoot College and its supporters. Be at the forefront with us by contributing with a monthly donation.